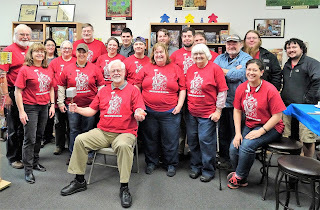 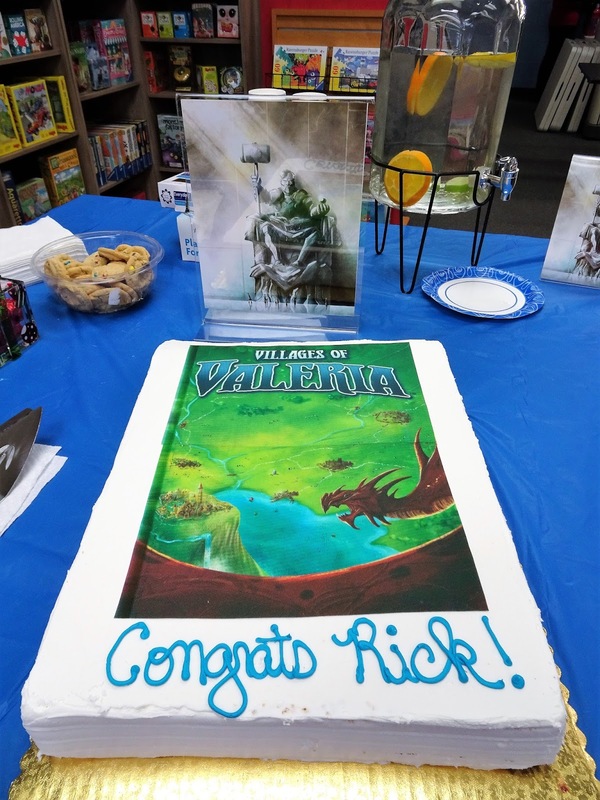 Saturday's Village Of Valeria release party with game designer, Rick Holzgrafe was an awesomely fun day. We have such a great group of gamer's. The red shirts we're wearing have the image of one of the game’s Monument cards that features Rick. 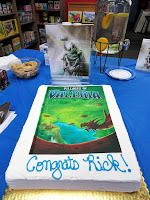 The shirts and cake featuring the game box artwork were a surprise to Rick. Villages Of Valeria is a village-building card game set in the world of Valeria. 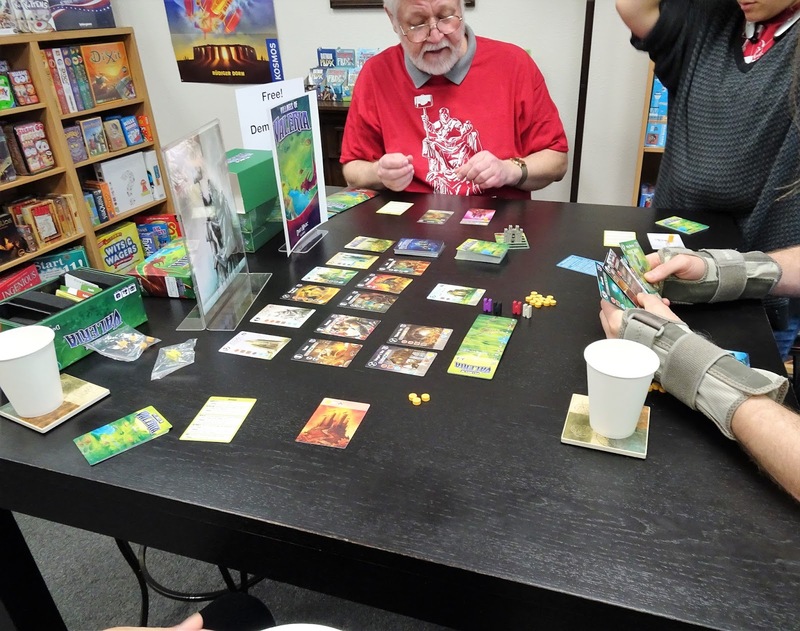 Establish resources, construct buildings, and attract adventurers to your Village to be crowned the next capitol city. 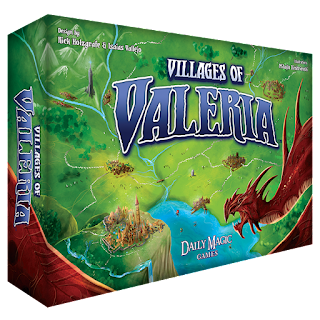 We have an open copy of Villages of Valeria available in our Store Demo Library for you to come in and try out.